If you're reloading your own rounds to cut costs or extend your training time then you'll most likely want to load with one of the most popular weight bullets in both the .40 S&W and 10mm Auto calibers. 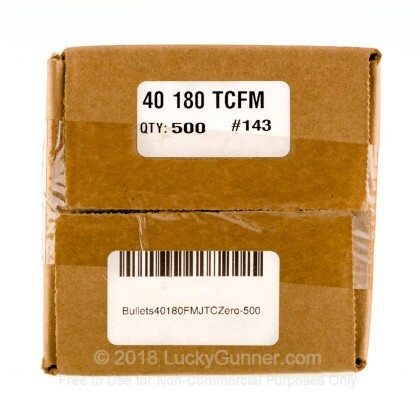 This package of five hundred 180 grain projectiles from Zero Bullets allows you to do just that at an affordable price without skimping on quality. Zero Bullets first started by selling bullets and loaded ammunition at gun shows across the southern United States during the mid-nineties. Reloaders were pleased with the consistent construction and quality copper jackets that the projectiles possessed. Today, Zero Bullets has grown while using new technology for their production process without changing the level of quality that they've always presented. The 180 grain bullet is a popular choice for high performance defense loads like Federal HST, Winchester Ranger, Hornady TAP, and many more. When you load your own rounds with these projectiles, you'll be practicing with the same weight as some of the most popular ammunition on the market. 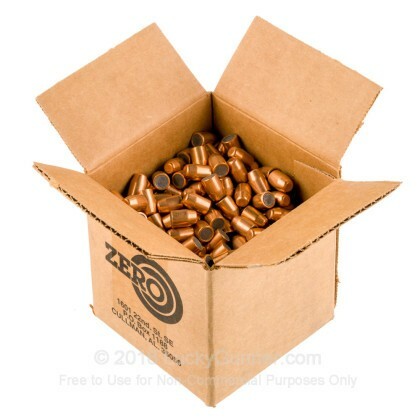 Zero Bullets feature a full metal jacket which will withstand the typical velocity of standard 40 S&W and 10mm recipes. These projectiles also feature a truncated cone in which the conical wall slopes gently towards the top of the bullet where it meets a flat tip. 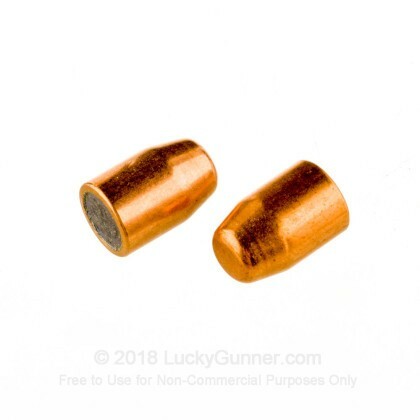 This type of bullet is great for range use as it leaves a nice clean hole that is very easy to see.